Today, rich folks will plunk out a half a million bucks for a new Ferrari or Lamborghini and think they have something special, unique. Yet hundreds are made of such models. Consider the rich folks of the 1930s who selected a fine chassis and drivetrain from a high-end manufacturer, like France’s Delage, and then commissioned a coachmaker to build a one-off body, just for their chassis. Ah, now that’s exclusivity. That’s exactly what happened in 1937 when a Delage D8-120 S chassis was built and delivered to coachbuilder Pourtout that created a hand-formed aluminum body for the car. And what a body it was! 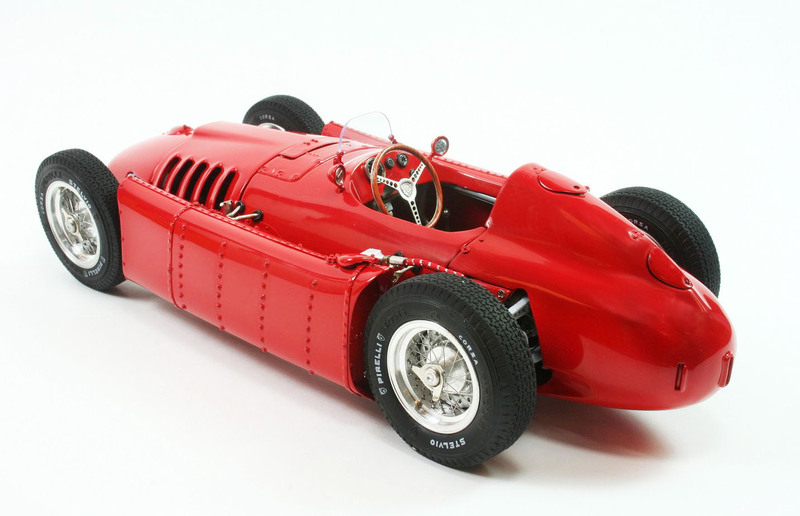 Now Automodello recreates a 1/24 scale cast resin version of this streamlined beauty. It’s a knockout! The Delage D8-120 S Aerodynamic Coupe is fantastic is a true one-off designed by famed stylist Georges Paulin. Records show the body alone cost $18,000 to build, roughly $300,000 in today’s coin. The Noble M600 may be the fastest car you’ve never heard of, and no wonder in the U.S. market because it’s not readily available here. Nope, Noble is a British supercar made outside Leiscester, England, where it sells for 200,000 pounds. How much that translates into U.S. dollars after the Brexit vote may require a phone call to your local banker . 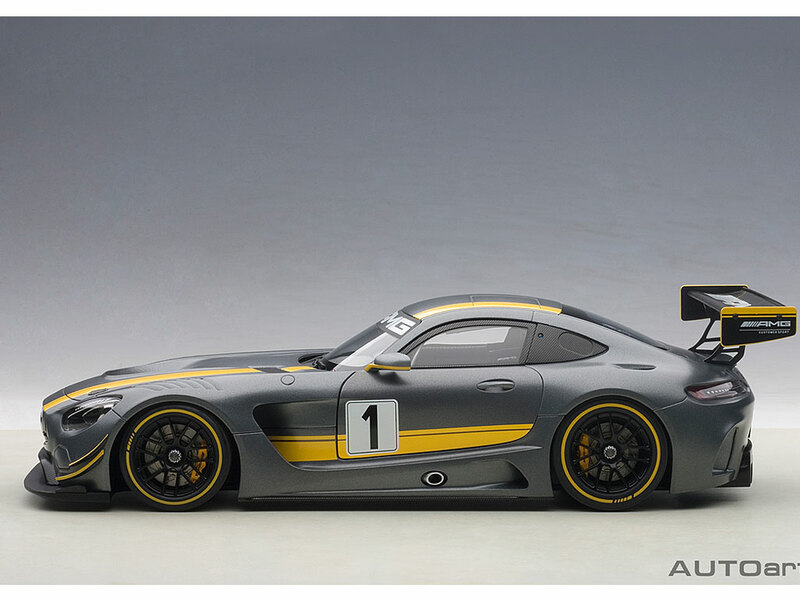 But Automodello’s new 1/43 scale version is a modest, considering the original’s price tag, $119.95. 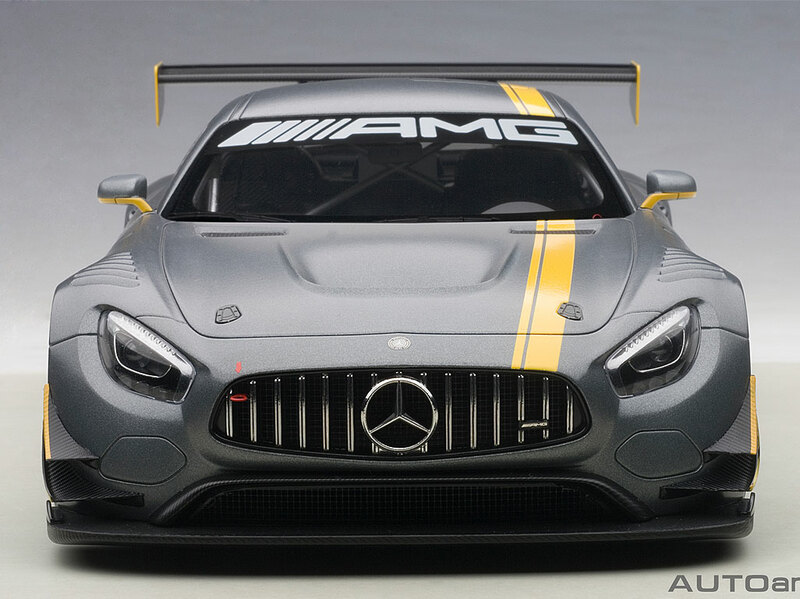 And we shouldn’t be surprised that Automodello takes on the Noble for a model as it has been mining models of some of the lesser known makes and rare vintage cars and racers that other die-cast and resin model maker have steered clear of. For the record, this is Automodello’s first model of a currently produced car and away from its vintage lineup. Noble Automotive was founded in 1999 by Lee Noble who wanted to build his own high-performance mid-engine, rear-drive car. What many of us call a driver’s car. Ferraris are fine, but Lamborghinis have been pressing the styling envelope more during the past 20 years or so. The new Huracan, Spanish for hurricane, continues the Italian car maker’s design dominance. Long, low and sleek with little slits of headlights and taillights and an engine just behind the supercar’s two bucket seats give the Huracan both an elegant and bullet-like appearance. Autoart nails it again with this, a composite-bodied model of the Lamborghini Huracan LP 610-4 in a stunning orange pearl paint scheme. This thing will nearly glow on your display shelf. The engine is 1/12 scale! Few engines have the pedigree of Ford’s 3.0-liter twin cam V8, nor can boast the overwhelming success. But calling it a Ford is a bit of a stretch. Most folks refer to the engine as the Cosworth DFV (double four valve) because Keith Duckworth and Mike Costin of Cosworth designed and created the cast-aluminum engine. Ford bankrolled it after Colin Chapman of Lotus fame enlisted the help of Ford Britain’s Walter Hayes. Arm twisting ensued and Ford forked over the money. Ultimately the engine became the go-to powerplant for Formula 1 cars for more than 10 years and also powered Indy Cars for much of the 1970s and ‘80s. In fairy tale fashion the engine won its first race, the Dutch Grand Prix, in June of 1967. 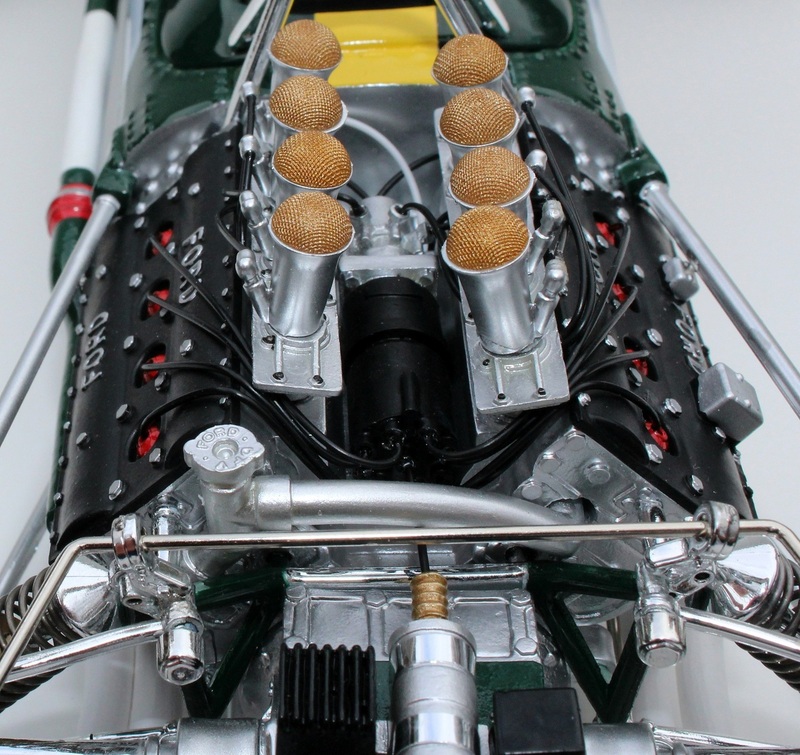 The V8 was a stressed member of the Lotus 49 chassis. 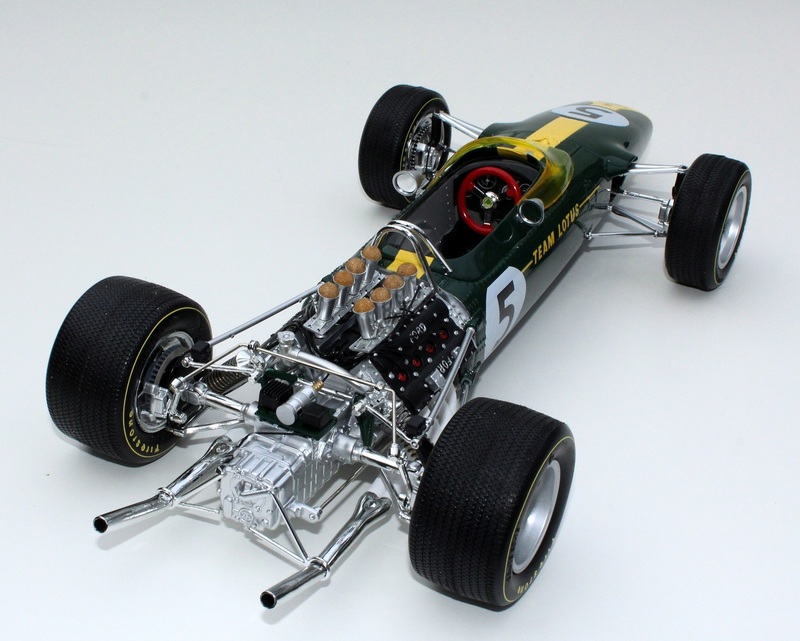 Automodello now releases its 1:12 resin version of the iconic racing engine. Just 499 are being made.